Georgia writers Jameson Gregg and Roy Richardson share three things in common: they love language, they love Mark Twain and they love to make people laugh. I recently sat down with these two talented wordsmiths over lunch to talk about how they go about the craft of humor writing. And in the next week, I will be featuring excerpts of their writing here on The Writing Well. Jameson, a North Georgia attorney of twenty years, left the law profession to write full time a few years ago. 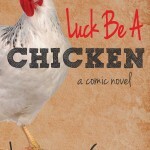 He recently celebrated the launch of his debut comic novel, Luck Be a Chicken, a tale of a redneck southern family trapped in generational poverty and facing a gut-wrenching crisis of how to raise money for their baby daughter’s operation. 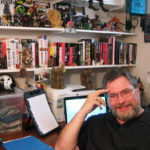 Roy, a lifelong Georgian, has spent three decades as a writer/artist for Marvel/DC/Darkhorse Comics. He collaborated with his wife, June Brigman, inking, lettering and coloring the Brenda Starr comic strip for 15 years. Roy continues to juggle his freelance art assignments with his writing, a constant challenge. Currently, he is compiling a series of short stories, titled, Hillbillies Prefer Blondes, which in addition to seeking a publishing home, he intends to record as an audio book. 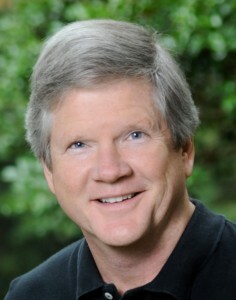 His writing is inspired by his own life —coming-of-age in Georgia in the 70s. I’ve gotten to know Roy through our writers’ group, and I can tell you that his readings are always a comedic highlight of our group’s gathering. Q. How would you describe your unique writing voice? What inspired it? Jameson: I would define my voice as the ability to a) recognize the potential for humor in a situation, b) add to, expand, and embellish with imagination, c) write it with clarity. What inspired it? I think the desire to deliver humor, writing or otherwise, is either in one’s DNA or it’s not. Every child I’ve known loves humor. I think as we grow, that interest in humor becomes less important as other serious and complicated issues cloud our lives. Every adult I know also likes humor and likes to laugh, but few have the inclination to pursue it as a living. That’s where the DNA comes in. 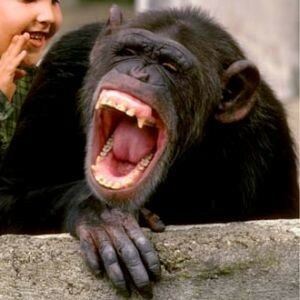 Personally, my humor DNA comes from my (now deceased) mother and grandmother. They would both go to great lengths for a practical joke. Q. 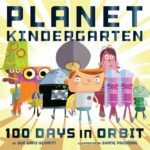 What things do you draw upon to bring humor to your writing? Roy: I find that stating the obvious in the most obtuse and pseudointellectual manner possible is usually funny. And if that doesn’t work, then I try the exact opposite approach, presenting the obscure as though it should be completely obvious to all. Also, having my characters stress out and bluntly spill some of the really stupid things most people secretly believe is usually good for a laugh. Jameson: It’s important to be alert and on the lookout for it because it’s all around us and usually unintentional. Sometimes it’s putting two ideas together. For instance, when Dahlonega was hosting the latest Big Foot Conference, I saw a huge dude in Walmart and it resulted in the attached Sasquatch article. Another time, I was at the local farmers market and noticed a couple of old-timers hanging out in the shade. I wondered what they talk about, so instead of continuing to wonder, I sat down and made up what I thought they may be talking about. It appeared in a column I periodically write for the Dahlonega (Ga) Nugget. Q. What writers and works inspire you? Jameson: Picaresque novels. Ever heard the term? I hadn’t until after I wrote one. When fellow Georgia author George Weinstein wrote a blurb for my novel, Luck Be A Chicken, he called it a picaresque novel, the first I ever heard the term or the genre. How about that – write a book in a sub-genre without even realizing the existence of the genre! Examples of this type of writing include Tom Sawyer, Huckleberry Finn and A Confederacy of Dunces by John Kennedy Toole, who is kind of my hero. Also, anything by Dr. Hunter S. Thompson or Richard Brautigan. As for living authors, I read Tim Dorsey and Bob Morris. Carl Hiaasen is the king now. I like Mark Twain’s tall tales. 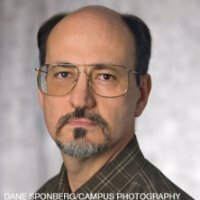 His work inspired me to write American History 101, attached, published this year in Stonepile Writers Anthology III, by the University Press of North Georgia. Roy: Though I’m writing fiction rather than memoir, Mary Karr and Rick Bragg, as great Southern writers, have both informed my stuff. I also think that Michael Chabon writes some beautiful sentences. There’s some Twain, Poe and Harlan Ellison in the mix as well. 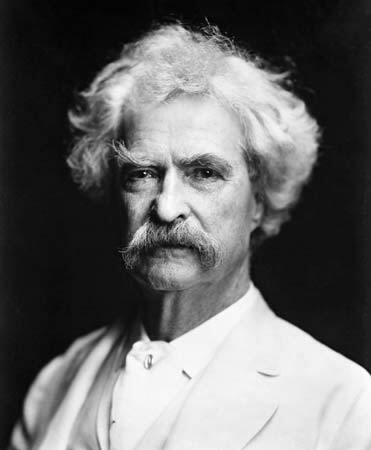 What I get from Twain is to write about something absurd in an extremely serious and intellectual sort of way – the way he uses language, sentences and phrases like a puffed-up college professor. Q. What would be your top piece of advice to other writers looking to inject humor into their writing? Jameson: I think the most effective way is to write situational humor – where you get your characters into a situation that is funny – like we all do sometimes. Roy: What I do is use language – taking an absurd situation but talking about it in a very serious analytical way, which makes it even more funny. I have a lot of dialogue and try to simulate how people talk – using accents without laying it on too thick – “daaang, little boy.” I’m working with a friend to record some of my stuff. I’m a little bit of a ham with southern accents. Roy: It’s very hard to interject humor into something – I never liked the concept of comedy relief, which was something that John Ford would do in his films when all of a sudden the characters would stop and decide to have a fun fist fight. Comic relief, unless it’s done really well, takes you out of the story. It has to grow more organically with the characters – you have to set it up. Q. In closing, can you share some favorite sayings, quotes, or words of wisdom? Paraphrase from the movie, Beasts of the Southern Wild: If I ever get too old to drink beer and catch fish, put me in the boat and set me on fire so they can’t plug me into the wall. 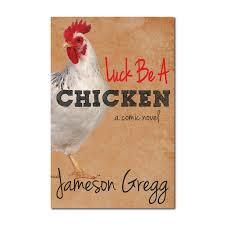 This entry was posted in Author Interviews, Inspiration, Short Stories, Storytellers, Writing Tips and tagged humor writing, Jameson Gregg, Luck be a Chicken, Mark Twain, Roy Richardson on July 1, 2014 by AnneWainscott.